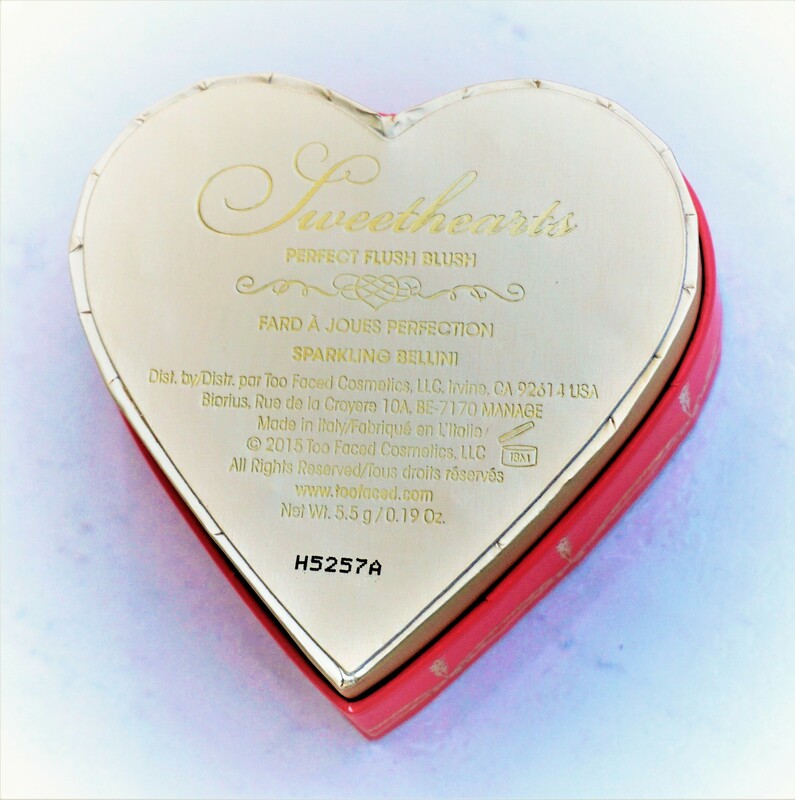 Back in July 2016, I wrote a post featuring the Too Faced Sweethearts Bronzer (click here to read the post). I really loved this product (and still do!) and it made me curious about the other Sweethearts products. My cousin’s wife mentioned to me that she had purchased the Sweethearts blush in ‘Peach Beach’ and so I thought it would be fun to check out the range. After swatching (and re-swatching) each of the blushes, I settled on ‘Sparkling Bellini’. 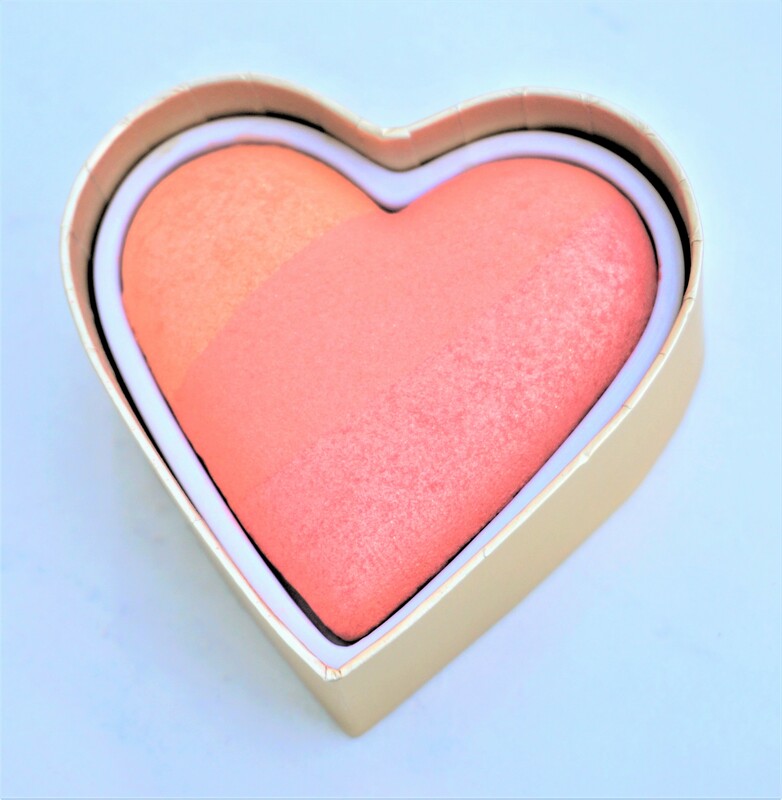 This particular blush has now become one of my favourites whenever I want to add a peachy-pink glow to my cheeks. The blush is made up of three complementary shades (more on that below), meaning you can get four different blush effects on your cheeks. Versatile, glowy and peachy-pink cheeks – I love it! Sparkling Bellini comes packaged in a peachy-pink box with a pink heart design, gold etching and black writing. The information on the back says that the blush is ‘The Perfect Peach Blush’ and that ‘This trio of shimmering shades blends to create a natural, luminous peachy-pink flush for any skin tone, any time of year’. The front of the outer box states that the blush box contains 5.5g/0.19oz worth of product. 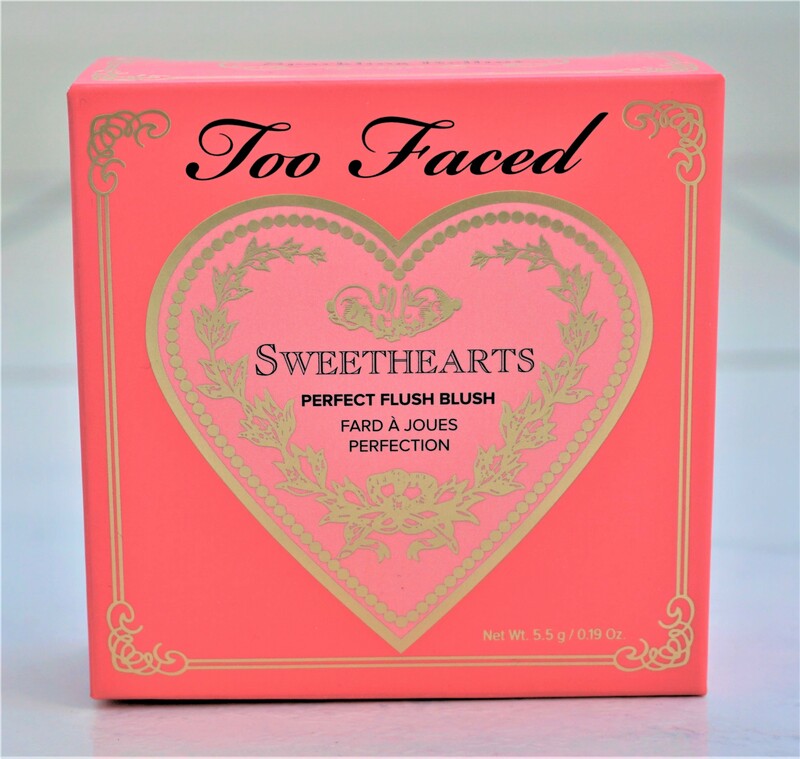 Like the other Sweethearts products, this blush comes beautifully packaged in Too Faced’s signature heart shaped box. The blush itself comes encased in a gold, heart-shaped box. It is topped with a peachy-pink lid with black writing and gold etching. 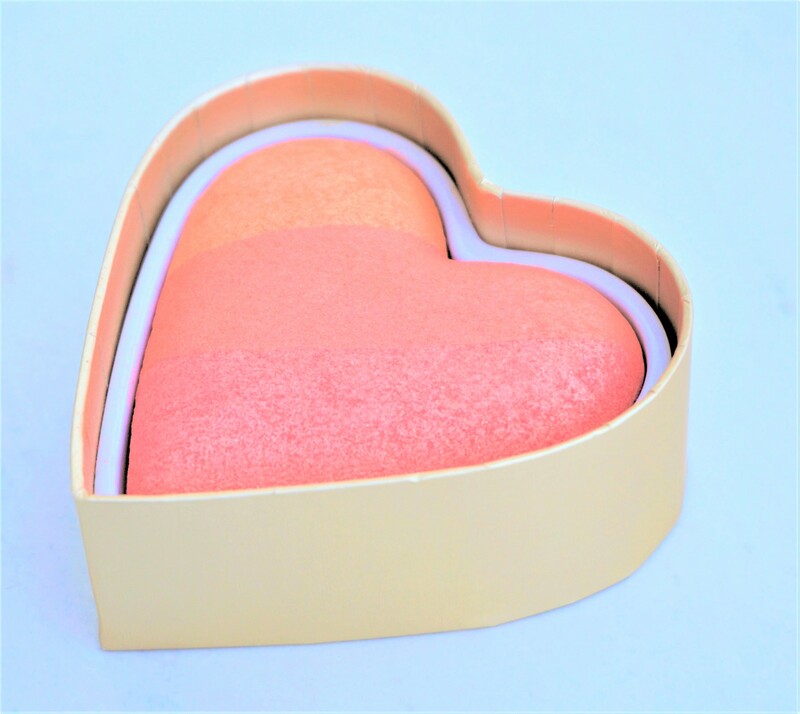 The box looks so pretty on the dressing table; I keep my Sweethearts Bronzer and this Sweethearts blush out on mine as I love looking at them :o) . The back of the blush box has the product, shade name and weight printed on it. 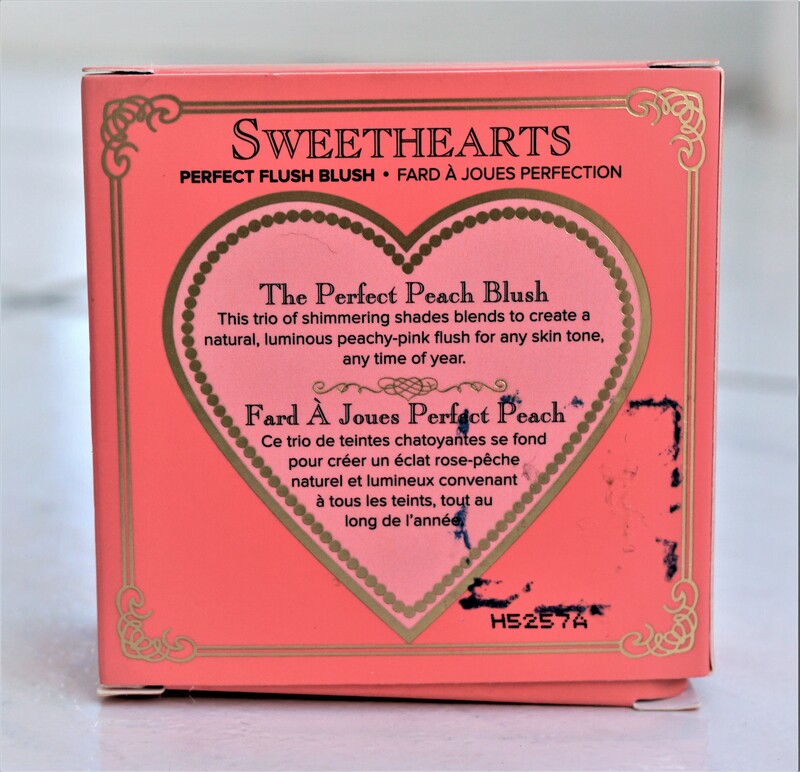 Upon opening, the heart-shaped blush is split into three complementary peach-based sections. The smallest section in the top left part of the heart is a light-ish peach colour with very faint gold sparkles. The middle section is a satin medium coral colour. The far right section of the heart is a medium peachy-pink shade with a glowy sheen and very faint gold sparkles. I love that there are three different, complementary shades as part of the blush, as you can wear each shade individually, pair up different shades for a highlighted effect or mix different shades together. 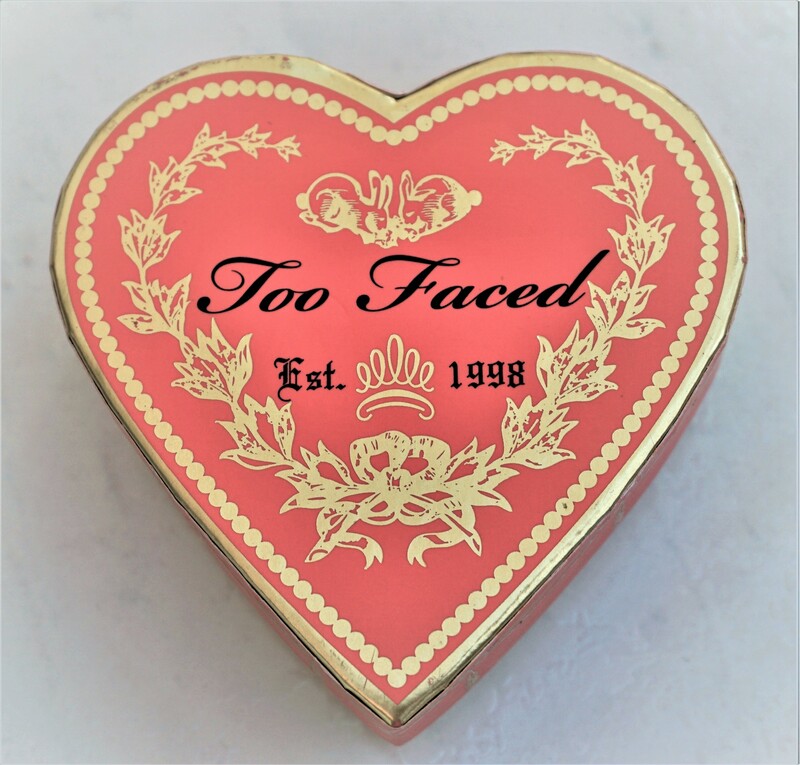 This particular blush has become my go-to whenever I use the Too Faced Sweet Peach Eyeshadow Palette on my eyes (another of my favs from Too Faced!). The tones of the blush and the eyeshadow palette go together so beautifully. I use each shade individually as a blush, depending on what look I fancy for the day. The middle shade doesn’t have sparkle in it so I use that one when I want a more satin/matte effect. I use the light peach when I want just a hint of colour and glow and the peachy-pink when I want a slightly stronger (though it still looks natural) glow to the cheeks. I pair two shades together to get a more contoured, highlighted look to the cheeks. I like using either the middle coral shade or the right peachy-pink shade on the cheeks and then using the left light peach shade to highlight my cheekbones. I swirl two shades together for a customised peach cheek. I swirl all three shades together for an overall glowy, peachy-goodness look to the cheeks. I haven’t used the blush in this way before but I can totally imagine it would be beautiful as an eyeshadow. What brushes can you use with this blush? You can use any brush you like with this brush, depending on the type of look you want to create. A smaller brush (e.g. the MAC 109 Small Contour Brush or the Real Techniques Setting Brush) will enable you to pick out and apply one of the individual strips on your cheeks. A medium sized blush brush (e.g. the MAC 168 Large Angled Contour) or the Real Techniques Blusher Brush) will let you pick out an individual colour or swirl a couple together for a customised look. A medium-sized all-purpose face brush (e.g. the Real Techniques Multi-Task Brush) will allow you to swirl as many colours as you like together in the box and apply to your cheeks. Any eyeshadow brush (e.g. MAC 239, MAC 217) will allow you to sweep the shades on to your lids to complement your eyes and create a complete look. Too Faced Sweethearts Perfect Flush Blush in ‘Sparkling Bellini’ costs £24 and is available from Debenhams and various online retailers in the UK. It isn’t cheap but I think it is a very versatile product. 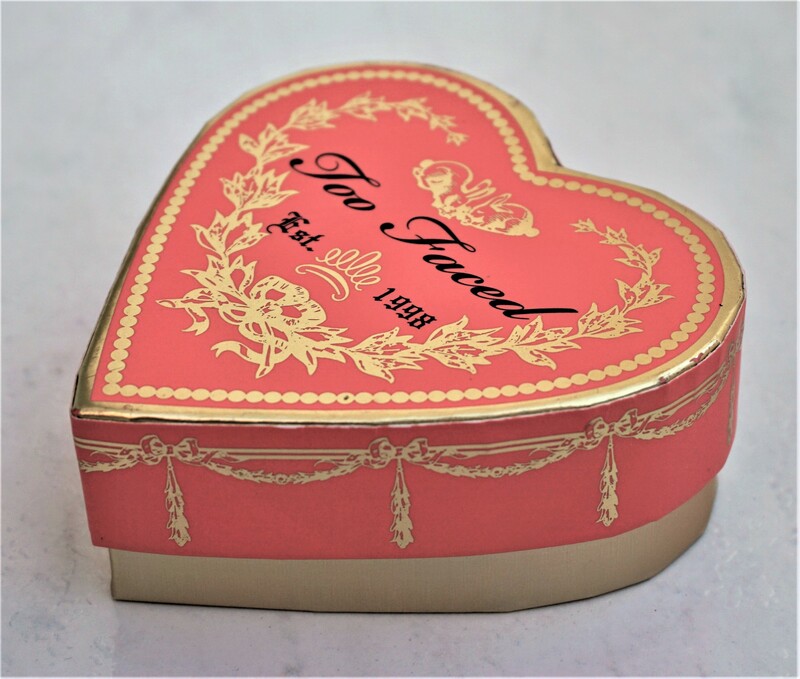 As mentioned above, it is a great counterpart to the Too Faced Sweet Peach Eyeshadow Palette, in case you have that palette or are thinking of getting it. 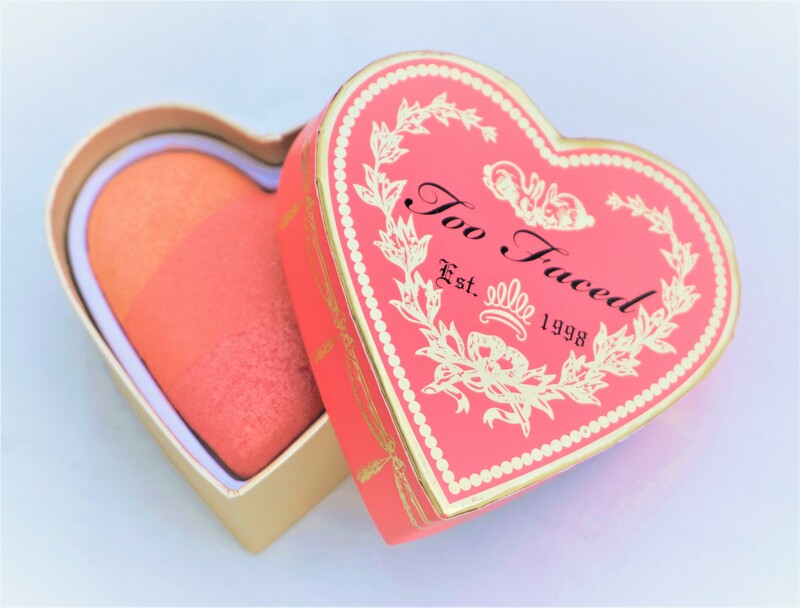 Have you tried the Too Faced Sweethearts Perfect Flush Blush in ‘Sparkling Bellini’? Or have you tried any of the other products from the Sweethearts collection? Let me know in the comments section below. Yes, it’s gorgeous, isn’t it? I particularly like using it whenever I use the Too Faced Sweet Peach Palette. All of the blusher strips work beautifully with that particular palette. Glad you got one to try and love it so much! Mine is still my go-to! It’s funny because I never thought to use each color individually–I always swirl the three together! Thanks for the good idea! Always appreciate your inspiration! Hey Julie! Glad you enjoyed the post and that you found some inspiration from it. Yes, really love the Sweethearts blush I purchased :o). Always fun to get new make-up to try out.